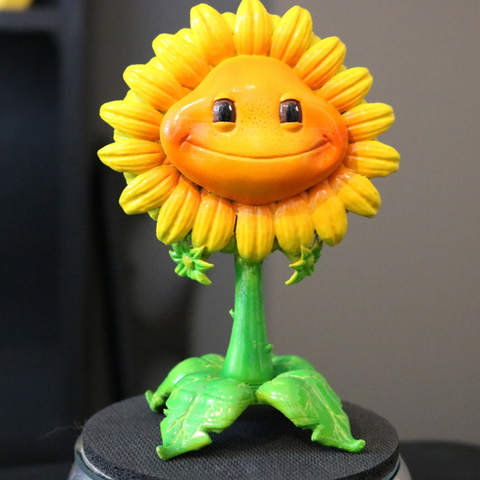 It's finally time we add another model to our Plants vs Zombies shelf. 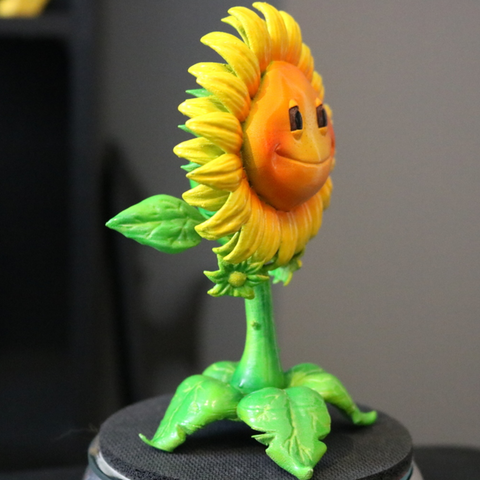 Citron and Peashooter were getting lonely, so I created the Sunflower to keep them company. I created the model in ZBrush. 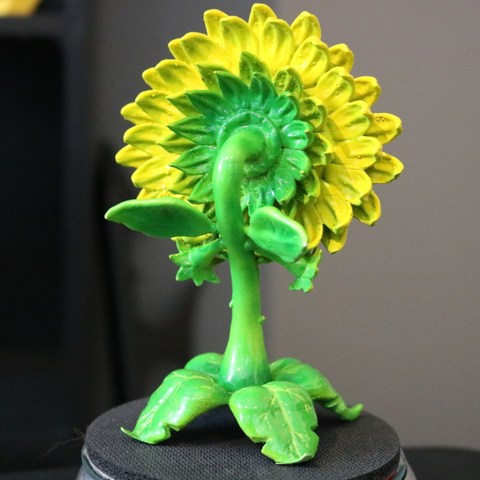 I started by shaping the head and pulling out the stem so I can sort of see the proportions and start filling in the rest of the features like the petals and facial details. 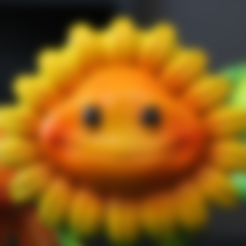 I mostly created one petal and patterned it around the face. Reusing assets saves a ton of time. Then I printed it out on my Wanhao D7 resin printer. It was my first real model I printed on it and it came out way better than I thought it would. I had a bit of lifting from the bed, but other than that, it printed absolutely flawlessly. Then I handed it off to Chelsey to do her magic. She primed it up then began painting it using her airbrush for the main colors and gradients, then using paintbrushes and acrylic paints to add the last details.